Good things really do come in small packages. 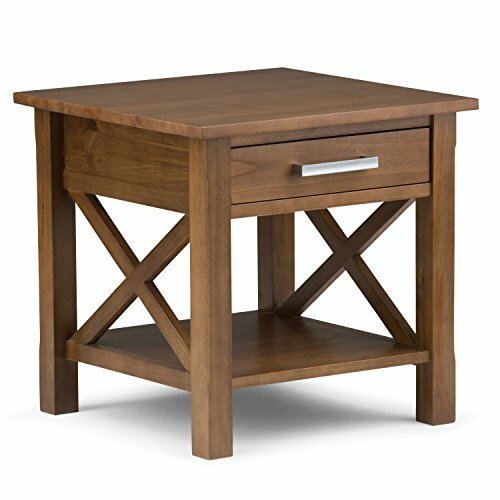 Nothing could illustrate this better than the design of our Kitchener end table which features one drawer and one Bottom shelf providing plenty of storage space. The table is sized perfectly to allow room for a table lamp, book and family photos. A perfect companion to any sofa, arm chair or bed. This item is hand-crafted and hand-finished with utmost care, as such variations and imperfections should be expected and should be welcomed as the natural beauty of the wood. One large drawer and bottom shelf provides ample storage space.